A Masterpiece, engraved and enameled entirely by hand. 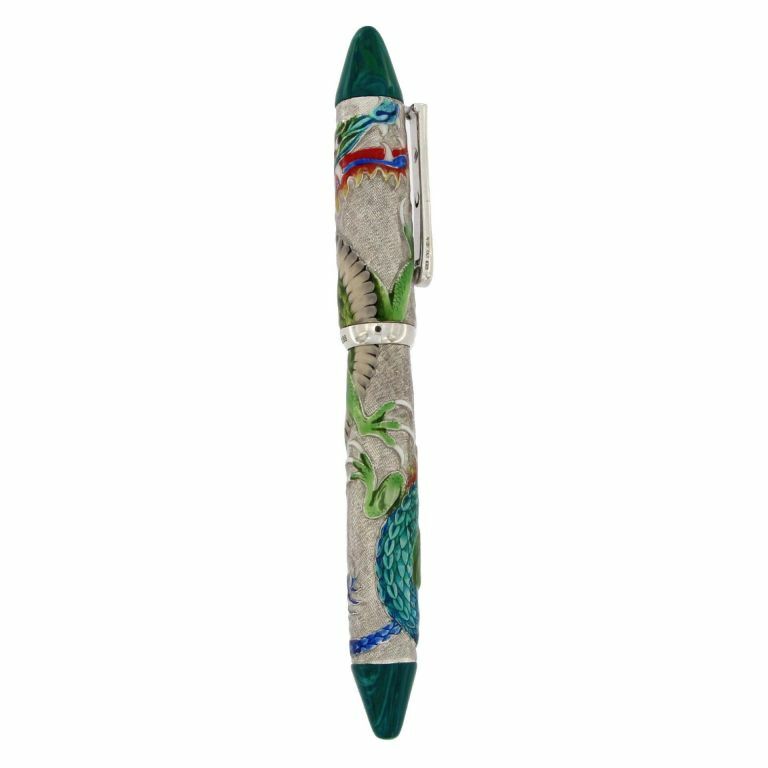 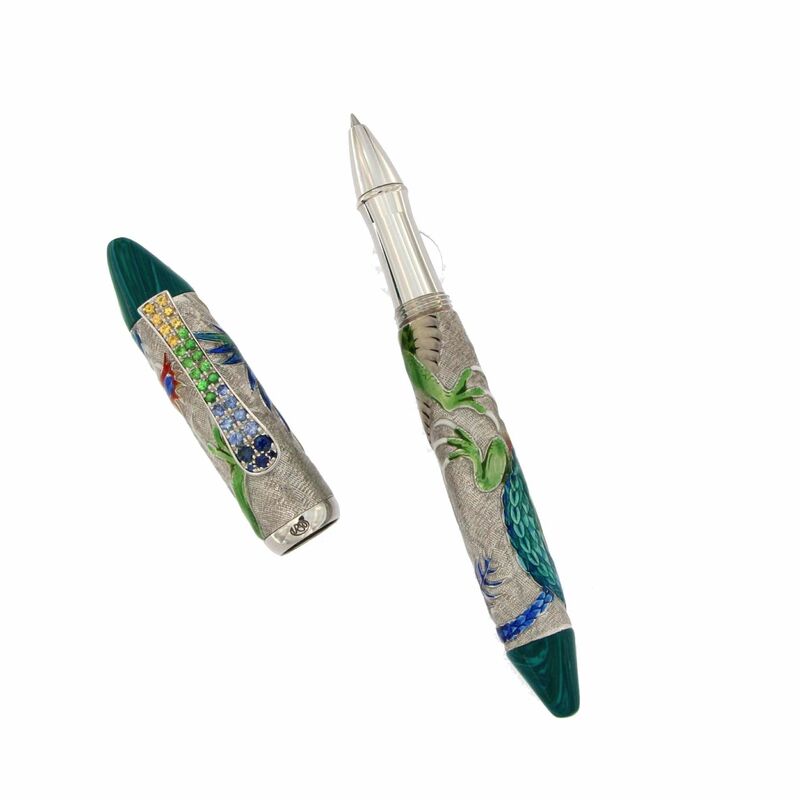 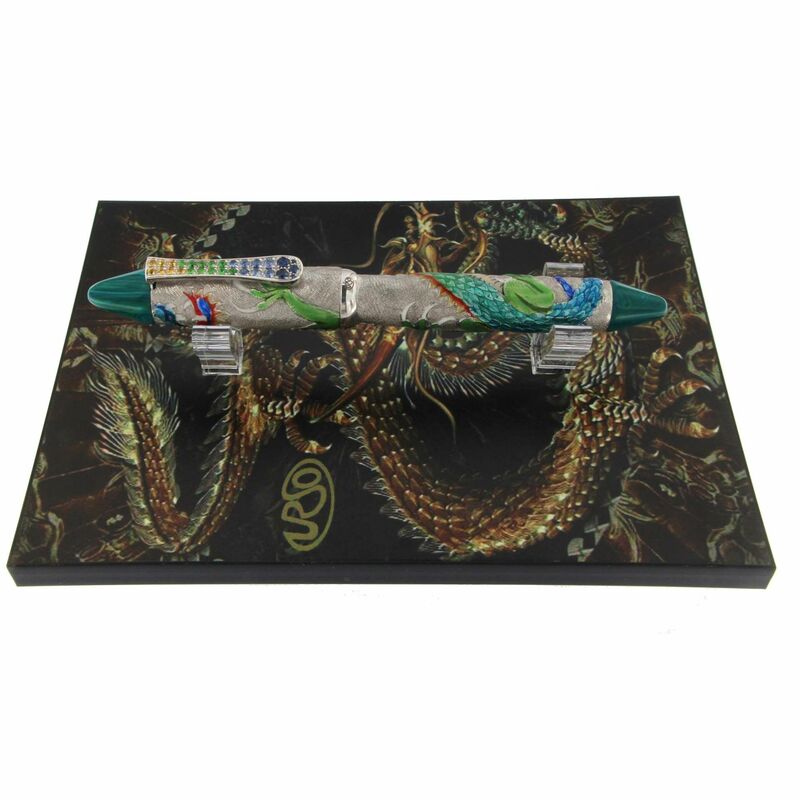 There are precious stones, Sapphires and Tsavorites, on the clips and on the the end of each pen, two shaped cones in a turquoise material that are exquisatly worked making them important pieces in the Urso Luxury Collection as is the Dragon as a symbol of beauty in the ancient Asian Culture. 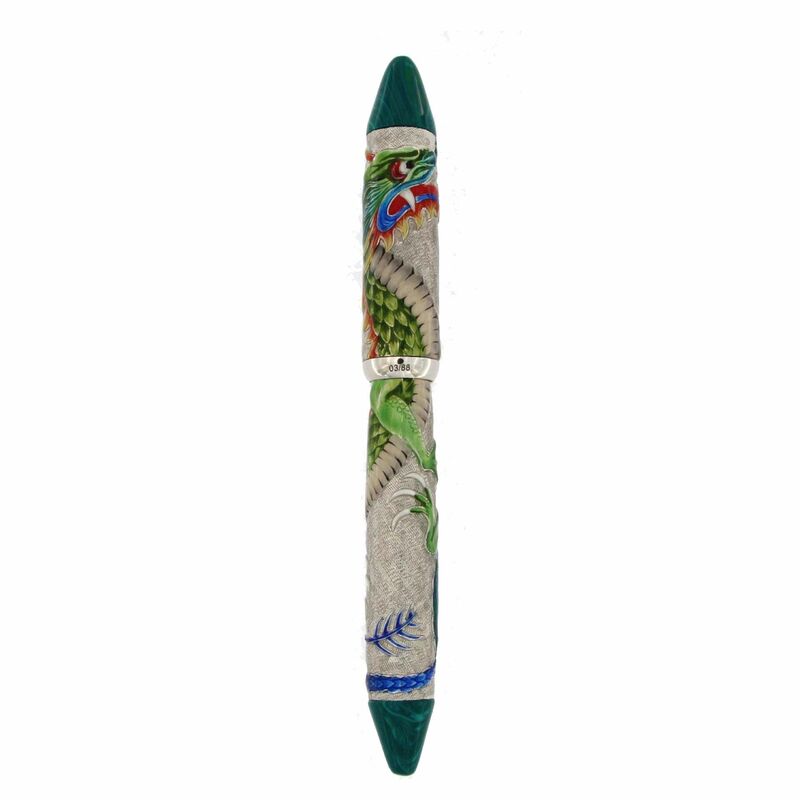 The Green Dragon is over 100 years -old and is a symbol of good luck. 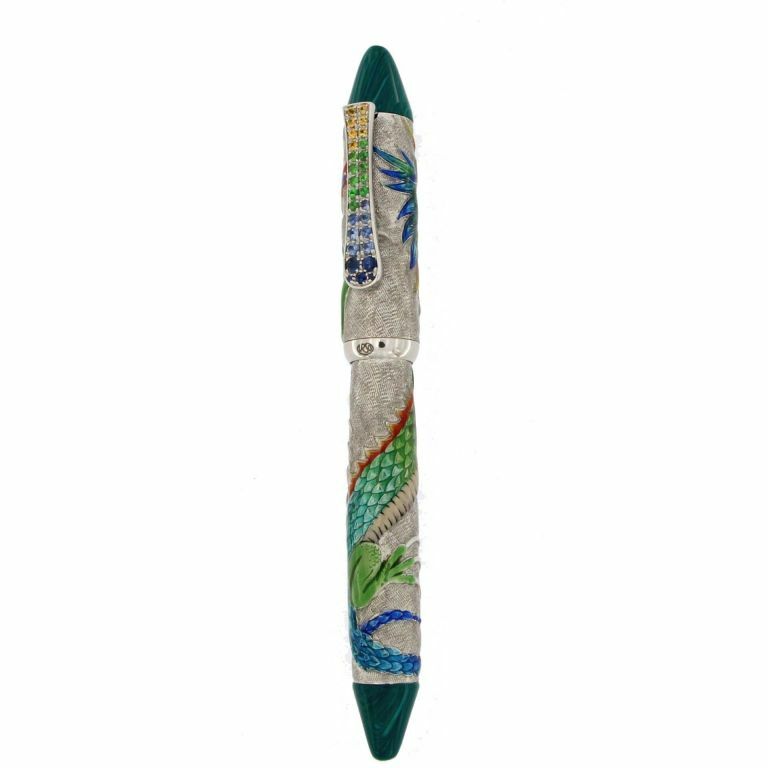 The Oriental Dragon, common in China, Korea and,Japan, is often described in this way: it has the body of a snake,a tail covered in fish scales, horns like a deer and the nose of a Quilin- in Japanese Kirin, ( a creature from eastern mythology that resembles a Giraffe for some and a Unicorn for others), with four long mustaches, two pairs of Eagle claws, Tiger's paws, Bull's ears and eyes like those of a Demon.